Save valuable time and improve the effectiveness of response. Hovercraft provide access to areas which no other vehicle can...and at a fraction of the cost of other recovery vehicles! 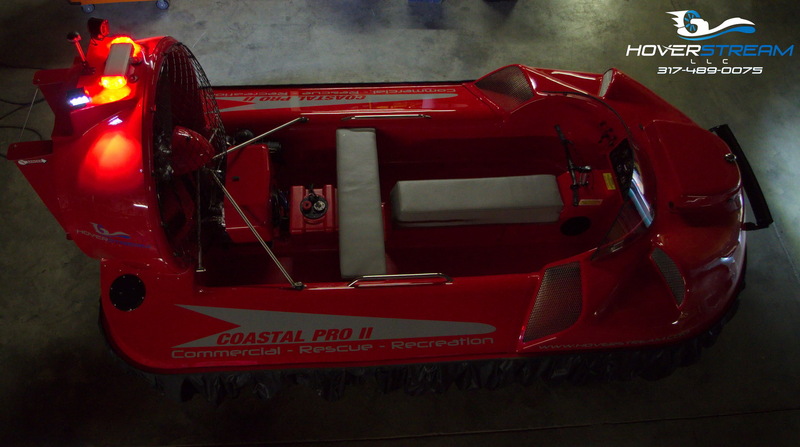 Hovercraft are perfect for coastal and inland commercial usage, where boats and other commercial vehicles simply cannot operate. Our Coastal Pro II's payload capacity is rated at 350kg/770lbs for water use, and can increase to 400kg/880lbs on land or in a reduced performance capacity. This means two crew members can operate the craft while still allowing for stretchers or rescue equipment and victim recovery. Hovercraft can be deployed quickly by one person onto a beach or shoreline without needing a slipway or boat ramp for access. Likewise, casualties can be delivered directly to any convenient recovery point saving valuable time and improving the effectiveness of response. Superb stability on water allows recovery of casualty over the side without risk to the crew. 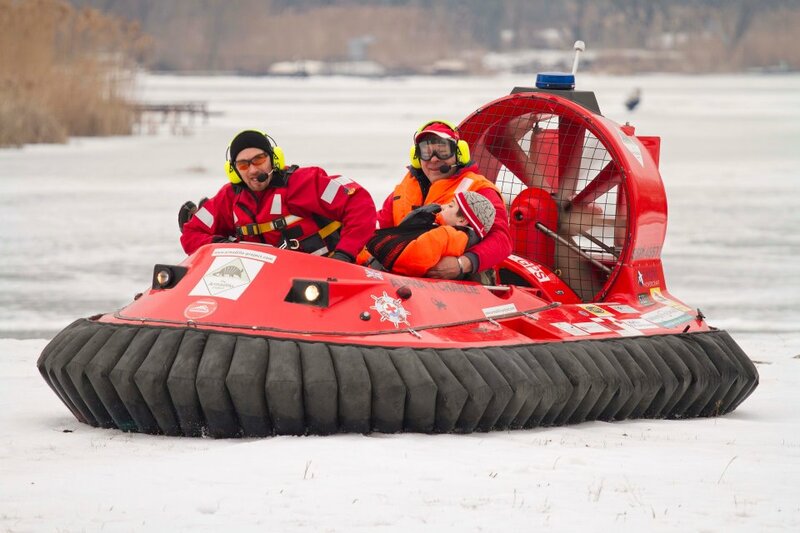 Hovercraft excel in flood conditions and are the ideal vehicle for search and rescue. Unlike a boat, there is no need to think about draft depth or what you can't see under that murky water… you're above all of it! With easy access to inter-tidal areas, deep mud, shallow rivers, marshland and beaches, our craft allows recovery of the victim to the safety of the craft and a fast return directly to shore and medical care. Reach remote areas in cold climates – on open water or ice of any thickness! Travel over flood water to traverse difficult conditions and deploy medics, medical supplies, food and equipment. Maneuver directly to any convenient recovery point saving valuable time and improving the effectiveness of response. Spray large areas of aquatic plants without stirring up sediment or destroying plants over which you travel. In cold water, time is everything. Stabilize a situation quickly, and more safely, than with a boat or helicopter. Ideal for patrolling oil pipelines, perimeters, inter-tidal exclusion zones around mines and defense installations and more.